It’s an old adage, in fact we hear it at least twice a year. Bath recently got fined £60,000 by Premiership Rugby for allowing Taulupe Faletau to play for Wales against South Africa in early December. Now this is something that has always amazed me, growing up I always thought that a player’s highest goal was to play for their country. That is not entirely true – especially in other sports – but in our rugby it should be as rugby internationals are highly attended, loved and supported both at the stadium and on our couches. In football they call them international friendlies, in rugby we do not, we just call them internationals. Effectively there are no actual friendlies in international rugby, every time a player turns up for international duty he gives 100 per cent, he is excited about the occasion, no matter what the quality of the opposition is. Some countries have rules about whether or not a player is eligible for international duty, but what is clear is that every rugby player desires to play for their respective country. Now let’s look at the £60,000. Where does it go? Maybe we need to look at who benefited? Wales benefited, Bath lost, Aviva Premiership lost. Looking at this is seems clear to me that Wales should pay and not Bath. In fact the club (Bath) should never pay. How did they decide on that amount? Should there actually be any internationals outside of the window? I say no, it’s silly. In South Africa, Australia and New Zealand we do not have this problem. 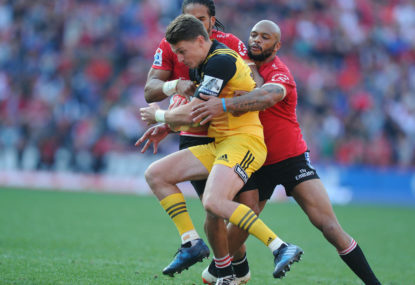 Super Rugby takes place 100 per cent outside of the window and the Currie Cup in SA and the Mitre 10 New Zealand Cup take place during the winter rugby season in the southern hemisphere when the Rugby Championship is happening. In the UK the Six Nations takes place at the same time as the Aviva, Pro 14 and French Top 14. This seems crazy as these are big sides, in fact just as big as the Super Rugby franchises, why they would have local matches at the same time as the internationals is beyond me? Let’s look at the year. There are two three-week windows, total six weeks, the Six Nations is five weeks the Rugby Championship is six weeks. Effectively a team like Australia would play 12 matches and a team like England would play 11 matches, considering that there are 52 weeks in the year where rugby is played the international games take up around 22 per cent of all the weeks available, effectively there are 17 weeks (33 per cent) in the year that there will be a Tier 1 international being played. That is not a lot at all. Surely the rugby bosses could come up with a solution that allows for international only weeks and club only weeks? In summary, I also think that all player contracts should allow them to play for their country should they be selected. It is ridiculous that local games are being played on the same weekends as internationals. It is ludicrous to fine a club. If anyone is to pay it should be the country that is benefiting, in this case Wales. The amount should go to the right place and the amount should be a fair reflection of the actual loss incurred by losing the player in question.